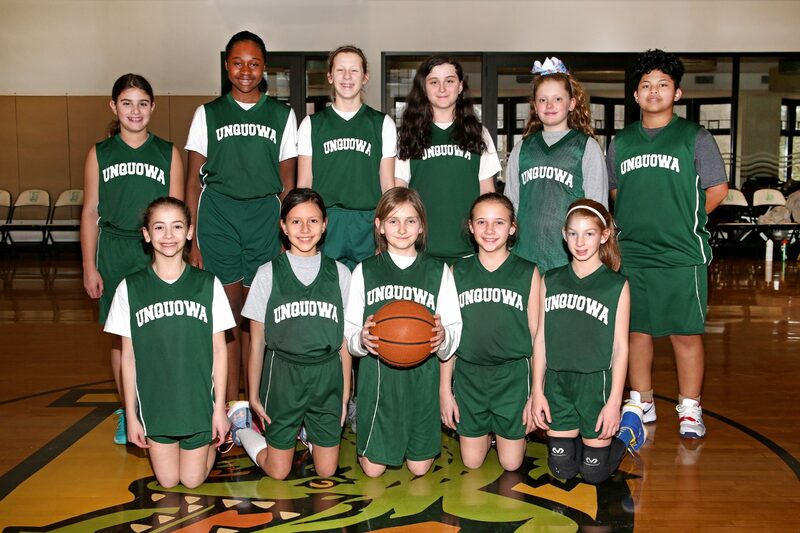 The girls green (5th and 6th grade) basketball team began their season with a win, a loss (only by 1 point) and a tie. The most important part is that everyone on the team has improved their skills. Alyssa has learned to rebound and put the ball right back up, adding points to the scoreboard throughout the game. Cecibel is a versatile player who plays awesome defense, inbounds the ball, grabs rebounds and can dribble in a pinch. Madeline is learning to box out under the basket and Mandy improves her defense with each game. Bea is playing tenacious defense and has been an unrelenting shooter on offense. Sophia is also playing awesome defense and is improving in her ability to get open on offense. 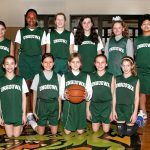 Marianella is a great team player who has learned to defend her zone and Karleigh and Madison are improving their defensive skills as well. Ryley, Erin and Elliott are invaluable to us when moving the ball down court, getting that fast break, and passing the ball inside. The best part is that we are playing well as a team and cheering for each other. So win, lose or draw, it’s a win in my book.